Earlier this year a new initiative aimed at stimulating economic growth and development in Russia’s Far East came into force, offering foreign businesses tax breaks, property and land and various other benefits in return for investing in the region. What exactly is the Law on Territories of Advanced Development and how does it work? 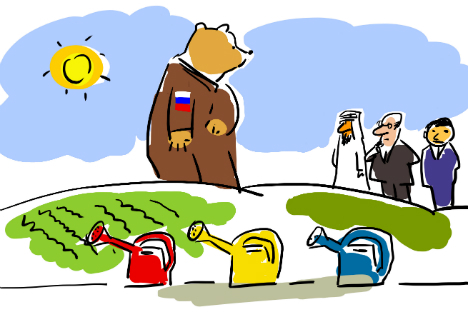 Amidst the ongoing noise around the situation in Ukraine and Syria and the sanctions and counter-sanctions, there is a new Russian development initiative that seems to have slipped under the radar but is worthy of note – especially for potential investors in Russia’s Far East. This is even more important in the context of Russia’s recent proclaimed political and economic pivot toward Asia. The Law on Territories of Advanced Development (ADT) was enacted in December 2014 and came into force this spring. And a number of first specific projects have already been announced. Further in July a “Free Port of Vladivostok” was established within the area of the Pacific city of Vladivostok and a few neighboring towns. This provides for essentially similar benefits and incentives to investors as the ADT Law, with an enhanced exemption regime for customs clearance and immigration. The fiscal benefits of the Vladivostok free port come into force in January 2016, but some foreign investors, such as Samsung Electronics, are reported to be eyeing this opportunity already. These advances may also be viewed in the context of Russia’s steady and continuing rise in the World’s Bank’s annual Doing Business rankings: from 62nd to 51st place over the past year alone, and well ahead of the other four BRICS (Brazil, Russia, India, China, South Africa) countries, according to the most recent report published in late October. To become an ADT resident, a commercial company or individual entrepreneur has to file an application with the management company that includes a business plan and proposal for the types of activities to be performed and the level of investments. The resident should then enter into an activities performance agreement with the management company reflecting the investment obligations as well as the management company’s obligations. ADT residents will be incentivized by an array of fiscal and administrative measures, such as exemption from or reduction of taxes on corporate profit, mineral extraction, property and land, a customs-free zone etc. The Ministry of Eastern Development in its capacity as authorized body has already approved the template of this agreement following the ADT Law guidelines. Once an ADT is established and running there are limits to the grounds a management company has to reject an application and refuse to enter into a contract with a potential resident. The main ground is inconsistency between the applicant’s proposal and the ADT’s particular parameters. It remains to be seen how the activity agreements will be negotiated in practice, as more experience is gathered for substantial new proposed investments. Among the first specific ADT projects announced at the Vladivostok Forum and at the more recent Harbin EXPO were an Australian coal company’s proposed investment into the transport infrastructure in Chukotka, German investors’ readiness to provide some 20 billion rubles ($300 million) for a sports complex in Petropavlovsk-Kamchatsky in the Kamchatka Region and a truck-building plant to be undertaken together by Chinese Sinotruk and the Far-Eastern Road and Construction Company. Under the law, an ADT is created by a government decree for a term of 70 years. Such decrees are based on a proposal by the authorized body – which proposal, in turn, is supposed be based on preliminary agreement(s) with one or more prospective investors into the planned ADT. A special federal government commission will also play a role in ADT selection and formation. As initially drafted, the ADT law was to be confined to the Far Eastern Federal District alone. This geographical limit no longer applies under the law as enacted. For the first three years it will only apply in the Far East, or in sole core-employer cities where the social and economic situation is particularly drastic. Earlier this month a government commission pre-approved establishment of ADTs in four core-employer cities outside of the Far East – Usolie-Sibirskoye, Siberia; Gukovo, Rostov Region; Yurga, Kemerovo Region, and Naberezhny Chelny, Tatarstan. But no formal government decree has been adopted on these ADTs yet. Jon Hines is a partner and Alexander Marchenko is of counsel at Morgan Lewis Law Firm.